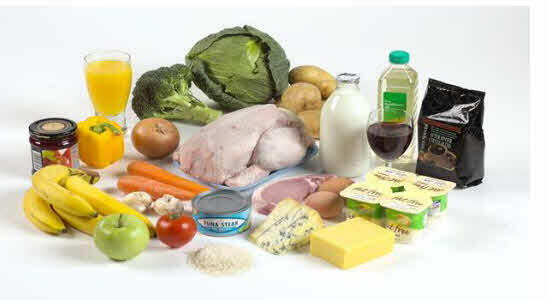 A gluten-free diet is a special kind of diet that cut out foods containing gluten from the diet chart. Before getting on with the gluten-free diet plan it is important to know about gluten. Gluten is a type of protein found in grains like wheat, rye, barley and all food products prepared using these grains. Gluten gives the sticky feature to the flour which helps it to bind together. 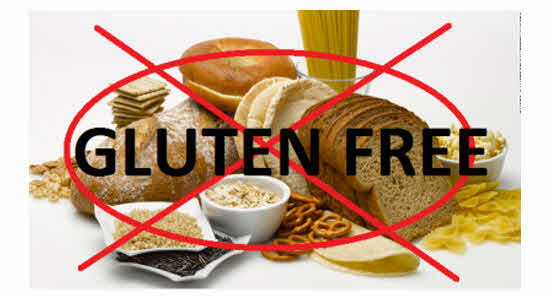 A gluten-free diet is used to treat celiac disease and gluten intolerance. People with celiac disease or gluten intolerance are sensitive to gluten. Gluten causes inflammation in the small intestine and causes chronic diarrhea, gas, bloating, fatigue, migraine and pain and swelling in joints. In this article, we have provided a detailed guideline about what is a gluten free diet along with the list of foods to eat and avoid in a gluten free diet and 10 delicious gluten-free recipes. All packaged foods contain a list of ingredients. So if a product makes used of a gluten-containing ingredients then it will be listed in the ingredients list. containing foods – Regular pasta, bread and cereals often contain gluten but you can still enjoy these foods by substituting them with gluten-free alternatives such as gluten-free pasta, gluten-free bread and gluten0free cereals. There are a lot of naturally gluten-free foods, grains and cereals such as fruits, vegetables, meat, fish, poultry, eggs, quinoa, amaranth, teff, buckwheat, corn, millet, tapioca, etc that can be used to prepare a balanced diet. 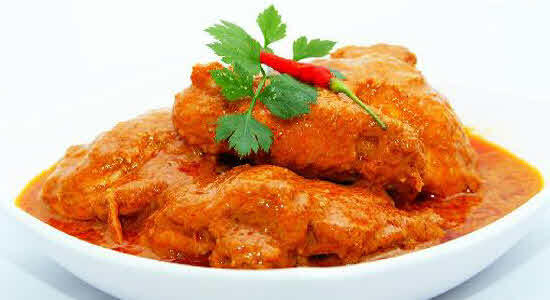 Pasta sauces, gravies and salad dressings often contain wheat flour. So, make use to read the labels of the sauces and dressings and exclude gluten-containing sauces. Make your own pasta sauce and salad dressing in the kitchen using gluten-free ingredients such as potato starch, corn flour, etc. We tend to relate all grains with gluten but jowar or white millet is one of the gluten free foods loaded with iron and other nutrients that can be used to make chapattis, paratha and uttapam. Urad dal used in the batter is also a gluten-free lentil that adds a soft and fluffy texture to the dish. The jowar uttapam makes a perfect gluten-free breakfast using minimal oil that can be served to people with gluten intolerance and celiac diseases. Mix the jowar, urad dal and soya milk in a bowl and pour it into a blender to blend into a smooth paste. Pour the paste into another bowl and add 1/4 cup of water to it and mix well to from a smooth batter. Add the salt and ginger-green chilli paste to it and mix well. Heat an uttapa pan and grease it with cooking oil. Pour 2 small spoonful of batter into each uttapa mould and cook till they turn golden brown on both sides. Do the same with the remaining batter. 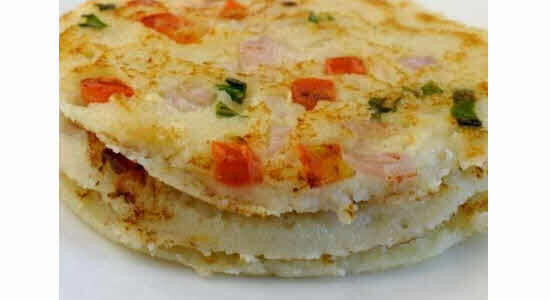 Serve the mini uttapa with coconut chutney as a wholesome breakfast. Although, many of us shun white rice and replace it with brown or black rice because of their higher fiber content, being gluten-free is one of the perks of white rice which makes it a healthy option for people with digestive disorders. The quick and easy vegetable rice biryani is one of the delicious vegan gluten free recipes that can be served as a main course during lunch or dinner. Heat the olive oil/Ghee in a large skillet and then add the onions. Add the whole cumin seeds, peppercorns, turmeric, ginger and coriander after a minute or two and toast for 2 minutes without burning them. Now, add rice and water and boil on reduced heat for 15 to 20 minutes or till the rice is cooked and all the liquid is absorbed. Now, turn off the head and add the green peas, raisins and almonds and stir the rice gently. You can also add a pinch of salt to adjust the taste. 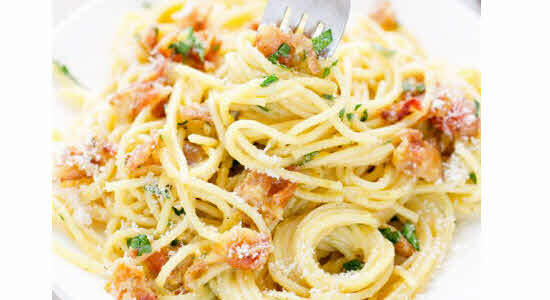 Pasta is a popular and healthy main-course dish which can be served for lunch or dinner. Choosing gluten-free pasta instead of regular ones helps to make it one of the healthiest gluten free recipes that contain the goodness of bacon, spinach and parmesan cheese. 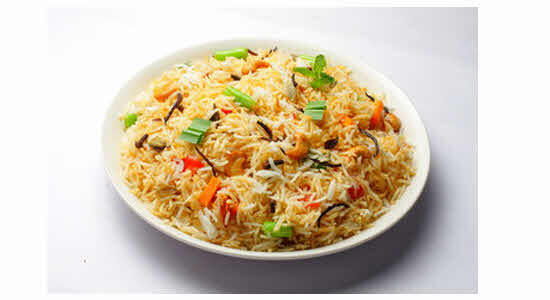 It is a complete one-pot meal ideal for the busy week days when you don’t have time to prepare an elaborate dinner. Heat a large skillet over medium heat and add the bacon to it. Cook for 5 minutes or till the bacon are crisp. Remove the bacon from pan and reserve 2 teaspoons drippings in the pan and set the bacon aside. Add the onion to the skillet and cook for 3 minutes, pour in the wine and cook for 1 minute or till the wine is reduced to half. Next, add the spinach and cook for 2 minute, stirring constantly. Remove the spinach to a separate dish. Cook the pasta in boiling water as per package instructions without adding salt or oil to it. Drain excess water, just reserve 1 tablespoon of pasta water. Add the pasta and pasta water to the spinach mixture, sprinkle fried bacon from top and stir well to combine the ingredients. Place the skillet on low heat. Combine cheese, salt, black pepper, whole egg and egg white in a bowl and add it to the pasta mixture, tossing it well. Cook the pasta for another minute and remove from heat. Sprinkle the chopped parsley from top and serve. People with gluten-intolerance usually refrain from flat-breads or roti prepared with wheat-flour because it contains gluten. 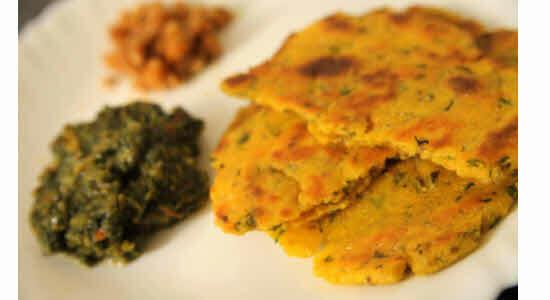 But corn flour acts as a gluten-free substitute which can be used to prepare roti, paratha and flat-breads. Makki roti is one of the healthiest gluten free diet recipes that can be consumed as a substitute for rice. Combine the corn flour, salt, chilli flakes, fenugreek leaves and asafetida in a bowl and mix well. Add the boiled potatoes to the mixture and mix well. Add water as needed to prepare a firm dough. Knead the dough well. Divide the dough into 6 equal parts and roll into smooth balls. Take one ball at a time, press on a flat surface and roll using a rolling pin into a 6-inch circle. Repeat with all the balls. Place the roti on a skillet and cook on medium heat. The roti will change color. Turn the roti over with a spatula. Add a teaspoon of ghee to the roti and grill it to perfection and remove from heat. Chicken is one of the best sources of high-quality protein and including chicken in a gluten-free diet helps to supply some wholesome nutrients to it. The gluten-free chicken curry works as a delicious and nutritious side dish that can be served with rice or roti during lunch or dinner. The addition of green and red bell peppers adds a generous amount of antioxidants, vitamins and minerals to the recipe. Heat oil over medium heat in a large, heavy-bottomed pan. Add the onions and tomatoes to it and cook for 5 minutes, stirring occasionally, till the onions soften and turn golden brown. Add the garlic, gingerroot, salt, curry powder, paprika, garam masala and bay leaf and cook for another 5 minutes or till the spices turn fragrant. Now, stir in the coconut milk, cashews, red bell pepper and simmer for another 5 minutes. Remove the mixture from heat and pour it into a blender. Blend the ingredients till smooth and return it to the pan. Simmer over medium heat for 10 minutes or till it thickens. Heat a non-stick skillet over medium heat and add chicken pieces to it. Brown the chicken on all sides and then add it to the curry base, heat until the chicken is thoroughly cooked. Put a skillet on heat, cook the green bell peppers until brown and add it over the chicken curry. Cauliflower is a wholesome and healthy gluten-free vegetable loaded with nutrients and fiber that makes it absolutely filling. Cauliflower florets cooked in a flavorful mint or Pudina gravy makes a perfect gluten-free side dish that can be served with rice, roti or paratha to create a complete meal. Add the ingredients for the Pudina paste in a grinder and grind to form a smooth paste and keep aside. Heat the butter in a large non-stick pan and add the cauliflower florets to it. Sprinkle some salt and sauté the cauliflowers on medium heat for 1 minute. Now, add the prepared Pudina paste over the cauliflower florets and cook it covered over medium heat for 10 to 15 minutes. Serve with Makki or jowar roti or paratha. 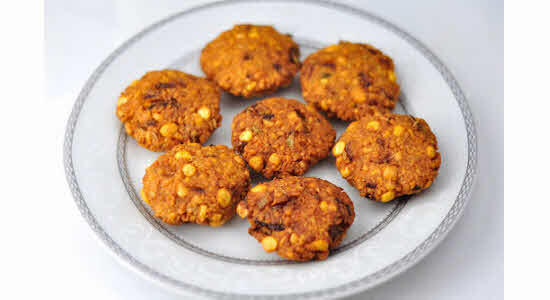 Crispy and crunchy masala vadai is a delicious and healthy gluten-free snack that can be served with tea or sauce. Chana dal or split Bengal gram is a gluten-free lentil that supplies wholesome amount of proteins to the recipe. Minimal amount of oil used for pan-searing the vadai also helps to keep it light and low in calories. Soak the chana dal for 3 hours, drain the excess water and blend it in a mixer to from a coarse mixture. Pour the mixture into a large bowl, add all the remaining ingredients except oil and mix well. Divide the mixture into 10 equal parts and shape each one into flat round vadai. Heat a non-stick tava and grease it with oil. Place the vadai on oil and dry each side till it turns golden brown in color. 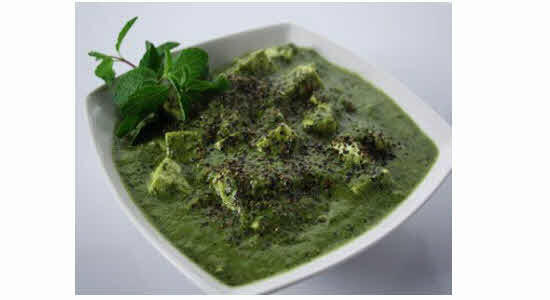 Serve with green coriander chutney. These cheesy baked potatoes make a healthy and wholesome snack that contain the right proportion of carbs, fibers, proteins and healthy fats. Potatoes are one of the best gluten-free sources of carbs that makes it a great source of energy. The combination broccoli and red pepper in the filling provide some essential vitamins, minerals, antioxidants and dietary fiber to the dish. Heat butter in a pan and add the chopped broccoli, red, pepper, garlic and green chilies to it and sauté for 2 to 3 minutes. Pour in the cream, salt, pepper and sauté for another 2 minutes and remove from fire. Sprinkle the cheese from top and mix well. Your filling is ready. Now, cut the boiled potatoes into halves horizontally, scoop out the insides of the potato using a spoon and fill them with the mixed vegetables filling. 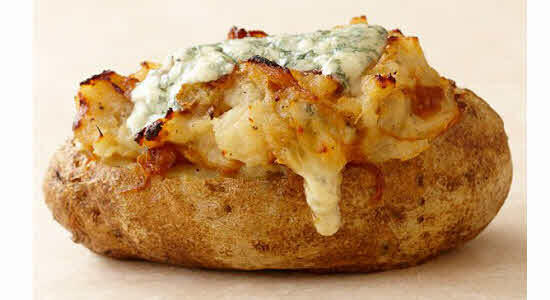 Bake the stuffed potatoes in an oven for 5 to 7 minutes and serve with tomato ketchup. 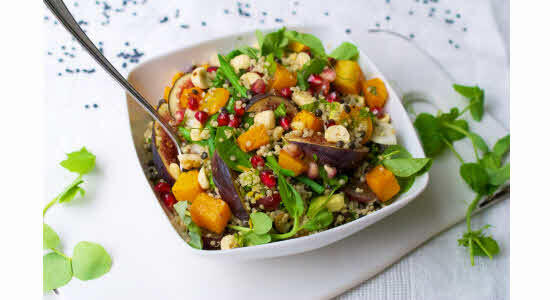 This light and healthy quinoa and lentil salad is a low-calorie gluten-free salad recipe that can be served as a substitute for lunch or dinner. Both quinoa and lentils are absolutely gluten-free which makes them easily digestible. Broccoli, carrots, asparagus, cauliflower and pomegranates supply wholesome amount of vitamins, minerals, antioxidants and fiber to the salad. Boil water in a large pan and add some salt to it. Add the chopped vegetables into the boiling water and par-blanch for 45 minutes and immediately shift them to a bowl of ice cold water. Add soaked quinoa to a bowl followed by the lentils and pomegranate seeds. Next, add the chopped spring onions and coriander and mix them well. Finally add the blanched vegetables to the quinoa mixture. Pour the sweet lime juice in a bowl and add the mustard, lemon grass, green chilli, basil leaves and olive oil to it, mix well and pour it over the salad and mix thoroughly. Sprinkle some sunflower seeds from top and serve. What better way to end the list of gluten-free recipes than with a delicious gluten-free dessert that can be served at the end of a meal. 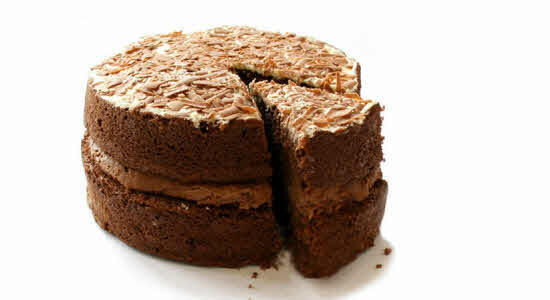 The soft and fluffy chocolate sponge cake is extremely easy to prepare and requires only a few ingredients. Replacing regular wheat flour with gluten-free white millet flour gives a healthy touch to the recipe without affecting its taste. 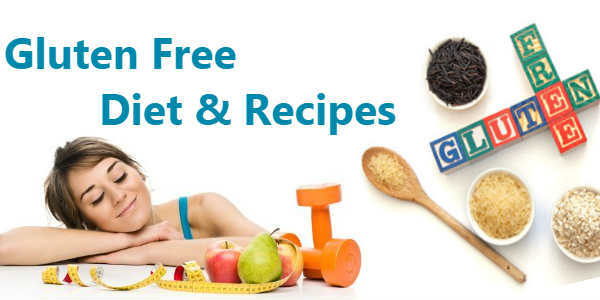 So, now that you know the gluten free diet benefits for improving your digestive health and curing celiac diseases, try out these easy and healthy gluten-free recipes and include them in your daily diet to relieve gluten intolerance.